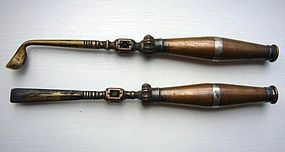 A wonderful pair of opium tools. The handles made of copper, inlaid with silver thread. China, 19th century. L. 18 cm.